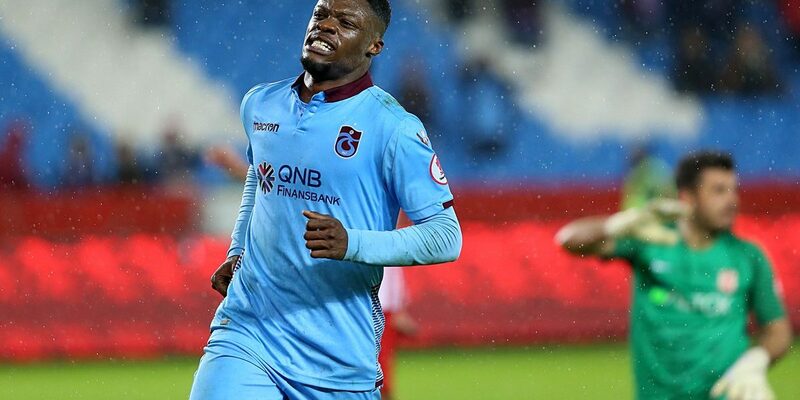 Ghanaian forward Caleb Ekuban has been pretending to be his teammate Ogenyi Onazi since joining Turkish Club Trabzonspor. The attacker has been mistaken to the Nigerian ever since arriving at the Club. Ekuban moved to Turkey from English Club Leeds United on loan and has since become one of the fans favorites. However his lookalike nature with Onazi keeps confusing fans of the Club. Meanwhile Trabzonspor are reportedly preparing a permanent deal for the 24-year-old who has netted four times and 16 appearances so far for the Club.